Golden & Red Beet Salad with Mozarella, Basil & Candied Nuts! 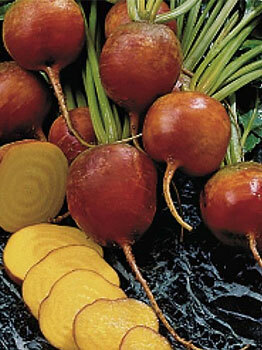 Golden beets are not as easy to come by as the red ones, but add a bright, zesty yellow color when served roasted and/or in salads. 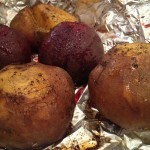 They are a bit less sweet than the red beets, but also have a more mellow, less earthy flavor all around. Red beets are the variety most of us think of when our minds turn to “beets.” They are the basic, but sweet and earthy ones. 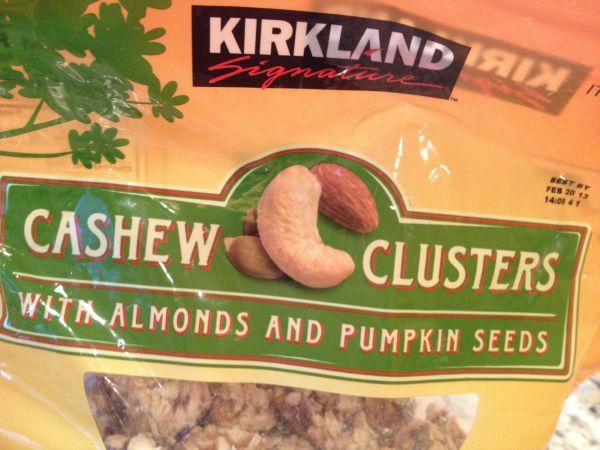 You can find them in almost any grocery store. 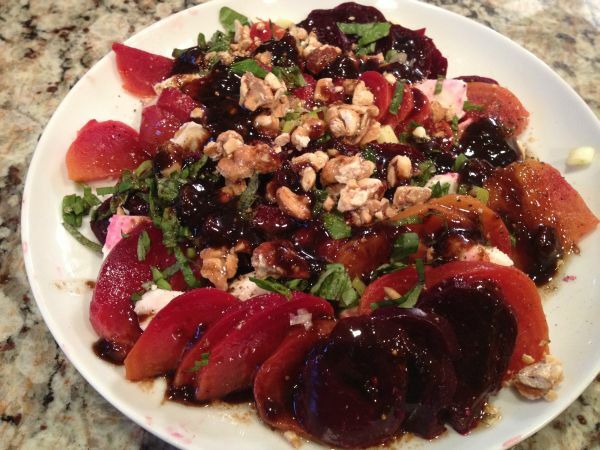 Look for beets with their fresh, leafy greens still attached if possible because you’ll know those are fresh. Be sure to remove these greens when you get home and store them disconnected. 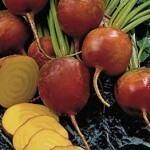 Much like squash, one of the great things about beets, is that they are great storage vegetable. They get a bit less tender as they are stored and gain sweetness along the way. 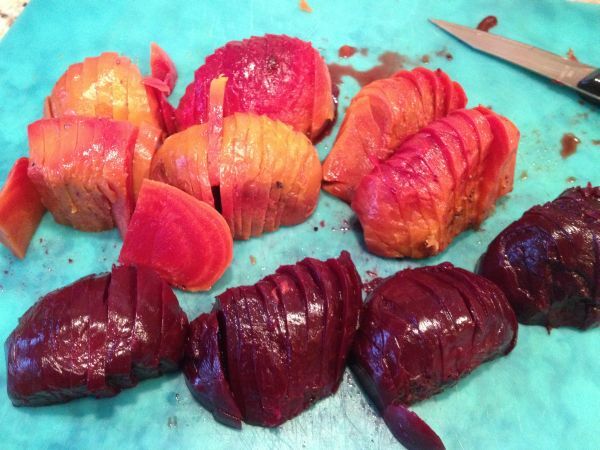 Either beet can be used in many ways, but are most frequently roasted (a great way to make them easy to peel, by the way). 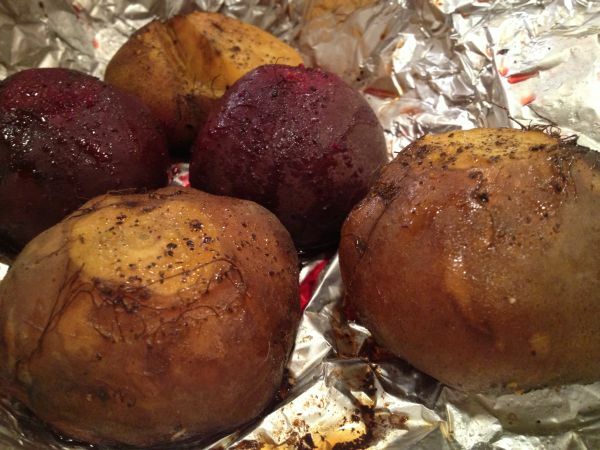 Wash and roast your beets according to the link above, while baking another meal. 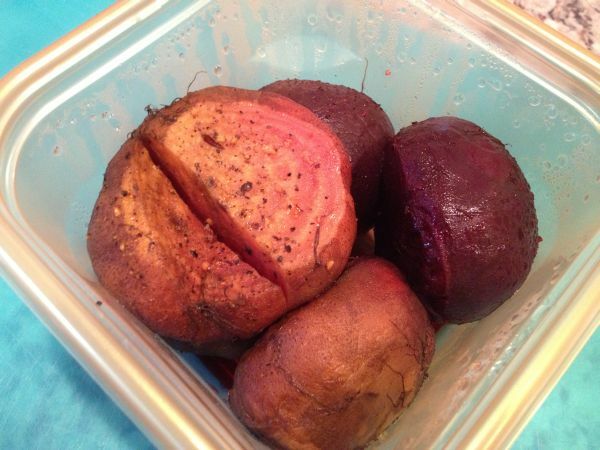 Store in an air tight container in the refrigerator until you are ready to use. Chiffonade a couple tablespoons of fresh basil and top beets and cheese. 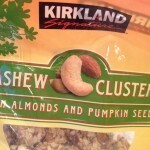 Crush nuts (for a quick fix of candied nuts, I prefer this brand and mix from Costco!) and sprinkle over salad. 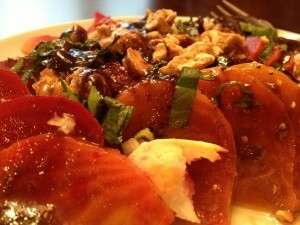 They add great texture and flavor! Season with salt & pepper to your liking.